Today many scientists are researching the impact of stress on physical and emotional health for years. With the help of this, we actually gain valuable information about how stress works and impact the life of every well-being. Nowadays many companies have started a company culture with nap rooms. As many employers are being under stress while working. Napping help to reduce stress and maintain the work-life balance. One of the most popular questions is arising that whether stress really causes hair loss or not. The answer is yes. Stress is one of the major factors for hair loss. To know the science behind it. First of all, we need to understand the hair growth cycle. 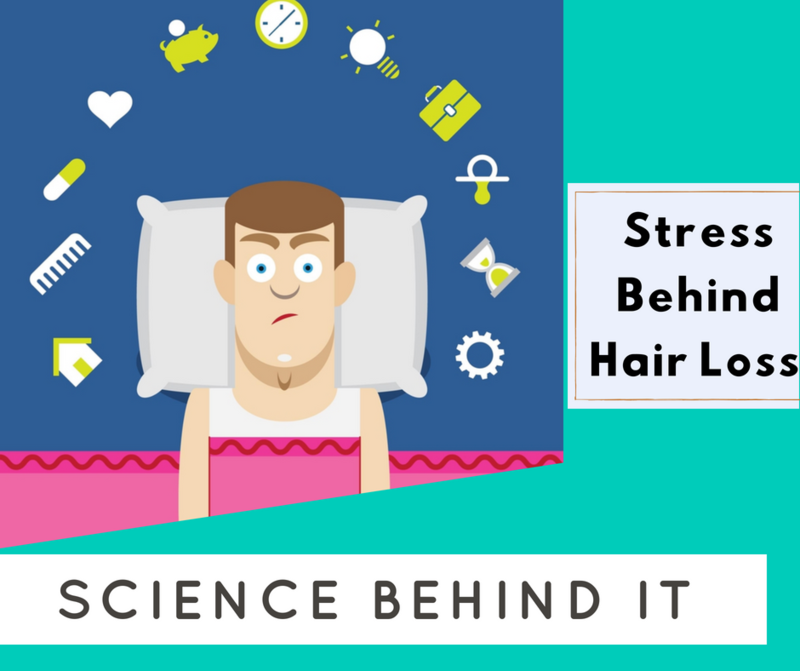 For better understanding, we need to know how hair grows and why stress plays an important role in falling out hair. As the life cycle of hair is known with three stages. 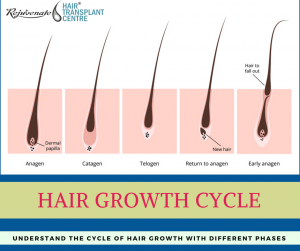 The first stage is anagen – which is currently 90% of our hair having, it is the active phase of this process. In which cells within follicle root divide and form a hair. This new hair will grow to continue until the old hair falls down. This phase will usually last 2-7 years, depends on your growth rate of hair. The second stage is catagen – when the hair stops growing. At this point, the hair transitions into a club hair during the next 2 to 3 weeks. Currently, 3% of your hair is in this phase currently. The root sheath within the follicle will slowly shrink and attach to the base of your hair. Once the hair can no longer access your blood supply, it will stop growing and enter the last phase, telogen. 8% of our hair is at this stage at any given time. Hairs in this phase hang for around 3 months until it naturally sheds. If your hair has shed naturally during this phase, it will have a while and hard bulb at the root. This is a strong indicator that your hair survived a normal life. If you need to know the connection between stress and hair loss then you really need to focus on the last phase which is telogen. When anyone is facing a stressful situation then the person body will trigger a large amount of hair to forcibly enter into the telogen. Some chronic stressful situation includes sickness, divorce or even childbirth. When a large amount of hair is forced into the stage of telogen then it started falling out of hair at the same time only a few months later. This phenomenon is called as telogen effluvium. This shows that temporary stress will not affect your hair as much as a chronic stress can happen. What action to be taken to reverse the damaged hair? The foremost action should be taken by reducing the anxiety levels. You need to know that the anxiety is the main reason prevent hair loss. And reducing the anxiety level directly impact on your hair growth. And the second step can be taken just by eating more proteins, vitamins, and minerals. When you started increasing the rich nutrients in your body then it helps to promote hair growth and also recover the stress-related hair loss. These two points are the only solution to reverse damage hair from stress. As conquering with anxiety is not an easy task to deal with. You need some help to reduce the anxiety level. Life is a process where we can’t prevent from being stressed, but we can minimize it by avoiding the negative thought which experiences the stress situation. 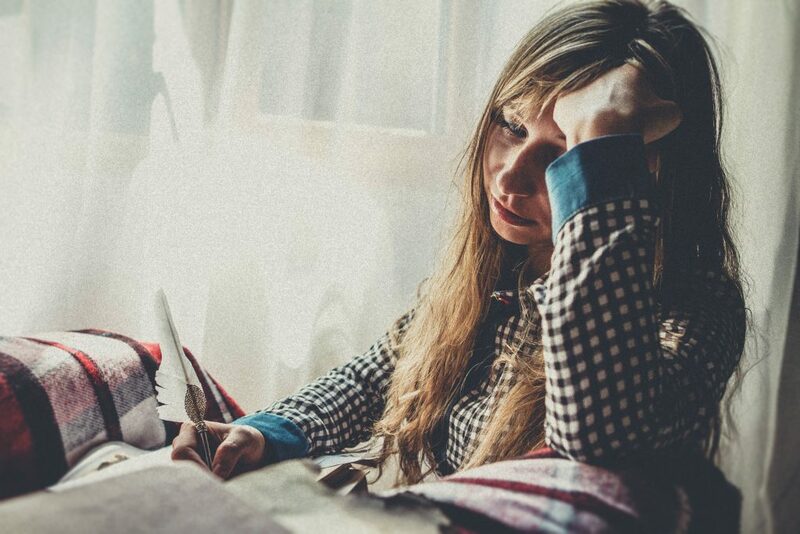 Quick-fix stress relievers aren’t just “band-aid solutions”–if you can reverse your stress response at the moment, you can minimize your experience of chronic stress. Learn more about breathing exercises and other fast-acting stress relievers. Some habits are highly effective for managing stress in the moment and building resilience toward future stress as well. The key is to make them a regular part of your life, even when you aren’t feeling overwhelmed by stress. Meditation, exercise, and other habits can help you to create in yourself a greater ability to withstand stress. There some important point which helps to prevent hair loss and manage your life in a proper way. When you are not getting enough sleep then you are suffering from physical and mental stress. Sleeping less for a long time increased the cause of hair loss. You need to ensure that you must follow a pattern sleep. A good sleep will make you feel refreshed and reduce stress with that. For good sleep, you need to fix the timing for your routine and for overall health benefits. Stress generally affected our energy level. By eating healthy food you will get proper nutrient which gives proper energy to function properly. Denying the nutrients can affect our health badly and causes stress. Altering your diet and making sure you eat healthily. As it is a good way to reduce stress and can also reduce your hair loss. The food you eat must have different nutrients on it. Eating sugary and sweet foods, deep-fried foods that are high in trans fats, and a lot of fatty proteins all impact your hair’s health. Ensure that you must eat healthy foods like vegetables, lean proteins, and large amounts of healthy vitamins which keep you to stay healthy and have low stress. You should give up things like coffee, soda, energy drinks, and alcohol and quit smoking. Eat fruits and vegetables regularly and eat lots of grains. Exercise not only improves your physical health but also maintain your mental balance and improve the mood by secretion of hormones. By doing consistent exercise, you will keep your body feeling better and keep your attitude up as well. This will greatly help with how you feel and how you stressed feel, which in turn can help decrease the effects of hair loss. Rest and relaxations have similar effects as an exercise in terms of stress relief. Must try relaxing before bed, meditating or yoga. You can watch a television before going to bed or listen to a soothing song. Whatever you can do to relax you must do it. Relaxing helps you to avoid stressful situations and give you a chance to remain calm. Relaxing help to calm the muscles and releases tension which reduce stress. For living healthy and stress-free life you must give time for yourself, so you can greatly reduce your stress levels and improve overall health, which in turn can prevent hair problems.